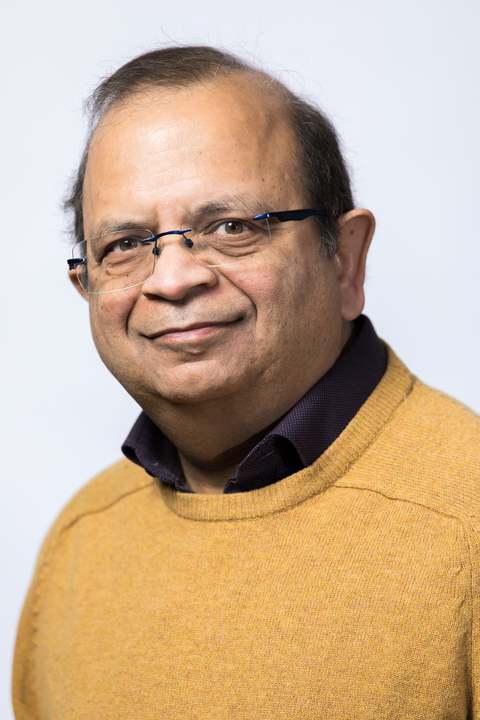 Professor Pankaj obtained his undergraduate degree in Civil Engineering from Indian Institute of Technology, Delhi, masters from Indian Institute of Technology, Roorkee and PhD from University of Wales Swansea. He is the Deputy Head of the Institute for Bioengineering at Edinburgh University. He established and leads the Edinburgh Computational Biomechanics research group. He has research collaborations with universities around the globe and his research has been supported by international organisations, the industry and UK funding councils. In his role as International Dean for South Asia he provides leadership in the development of a strategy to shape activities, partnerships and priorities to enhance the University’s engagement with the region. DePuy Best Medical Engineering PhD, runners-up prize awarded by Institution of Mechanical Engineers (UK) to PhD student F. Levrero-Florencio (2018). British Orthopaedic Research Society's International Travelling Research Fellowship for Young Investigators awarded to Alisdair MacLeod for his PhD research (2016). Best presentation award from the Scottish Committee for Orthopaedics and Trauma at their annual meeting to MD student C Scott (2015). British Orthopaedic Association's Hip and Knee Reconstruction Fellowship awarded to MD student C Scott (2015). Best Poster Award at the 2016 British Orthopaedic Research Society Meeting, for the study entitled \the changing microarchitecture of trabecular bone with high strain" (authors: Wallace, Manda, Sales, Simpson and Pankaj). IMechE/Vicon prize for the best Medical Engineering Project awarded to MD student C Scott (2013). Best Paper Award at the 2011 International Conference of Systems Biology and Bioengineering for the paper entitled “Computational Modelling of Magnetic Resonance Elastography Shear Wave Behaviour through Atherosclerotic Plaque with Disease Development" (authors: Thomas-Seale, Pankaj, Hoskins and Roberts). Robertson Medal for the best research proposal from Carnegie Trust awarded to PhD student FE Donaldson (2008). IMechE/Orthopaedic Research UK award for the best thesis in Medical Engineering awarded to PhD student ATM Phillips (2007). You can watch this video on Media Hopper and on YouTube. My principal expertise has been in the area of nonlinear computational solid mechanics. I have developed new constitutive models and finite element algorithms some of which are now part of finite element textbooks. One of the major successful application areas of my expertise is computational biomechanics. My research is highly interdisciplinary; my group has developed partnerships with clinicians and comprises of research students with backgrounds in physical sciences, engineering and medical sciences. Micro-mechanics of bone. We aim to develop techniques for prediction of bone mechanical properties from imaging for diagnoses and numerical modelling.